Emerge Fitness is an online retailer that provides supportive knee and elbow compression sleeves, wraps, bands, and more. They are also one of the leading sellers of 7mm knee sleeves on Amazon.com. 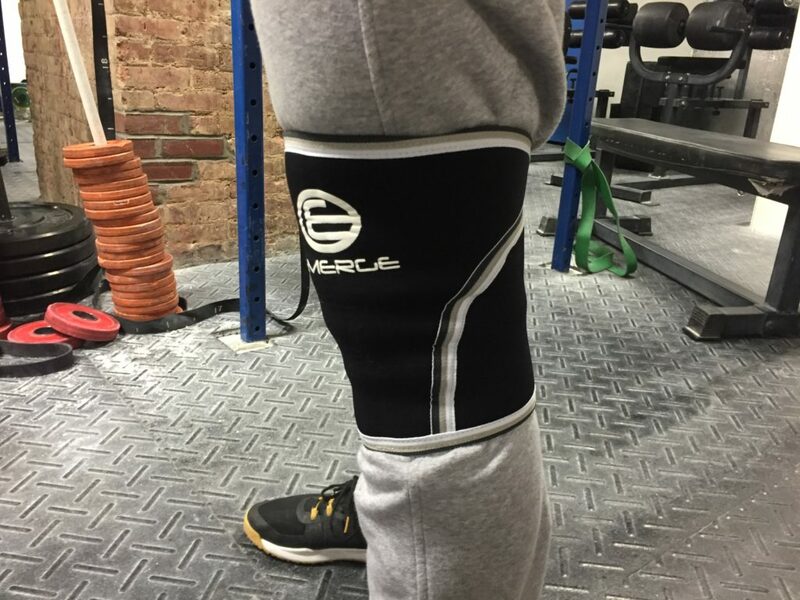 After reviewing many neoprene and non-neoprene knee sleeves, each with distinct pros and drawbacks, I was eager to put these sleeves to the test to see how they stacked up against heavy back squats, olympic lifting, lunges, and functional fitness WODs. 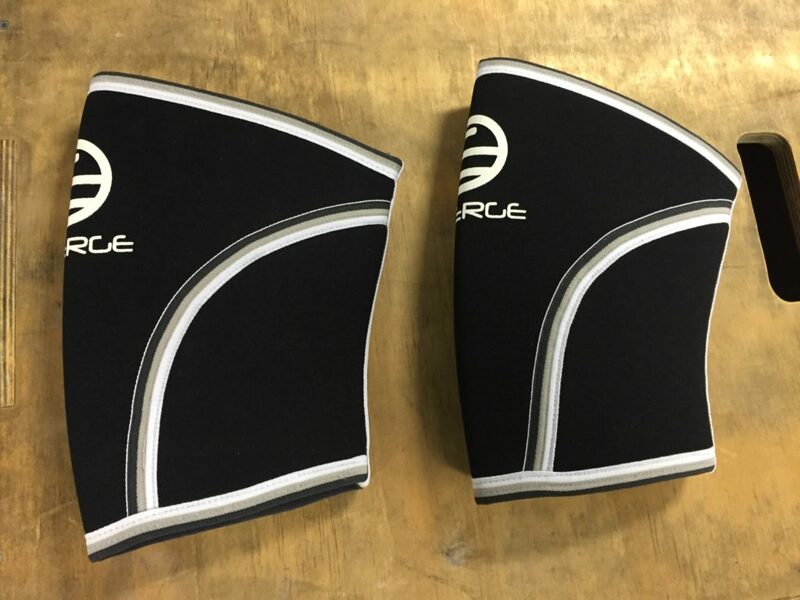 In this article, we are reviewing the Emerge Fitness 7mm Knee Sleeves. Click HERE to shop the Emerge Fitness knee sleeves. The Emerge Fitness knee sleeves is a 7mm sleeve thickness for most power, strength, and fitness sports. The 7mm sleeve is supposed to provide support for daily use during squats, snatches, heavy cleans, with the flexibility needed for light-load high intensity WODs. They are also sold in 5mm options. The Emerge 7mm knee sleeves felt balanced in the amount of support and flexibility they provided. The sleeves themselves were very easy to take on and off, however stay in place well enough to not fuss with during higher rep squat and olympic weightlifting sessions. The support of the sleeves was adequate, however nothing stood out as exclusive to this sleeve. The movement ability within these sleeves was what I would expect from a slightly less supportive sleeve when compared with more rigid sleeves. Lifters looking for a more rigid feel and support to be used during more strength and power work may find this sleeve to simply be too light, as I would have liked some more support when rebounding out of heavy squats and cleans. With that said, these sleeves did allow for some fluid movement in general fitness and WODs, as they compression was adequate to keep them in place and not restrict knee flexion and extension. Emerge Fitness offers their neoprene sleeves in thicknesses of 5 and 7mm, both in black sleeve color. The seams and cut of these sleeves allowed for a tapered, snug fitting knee support, one that stayed put during most workouts. The material was soft, like most neoprene sleeves, and had a good amount of stretch to allow for easy application and removal of the sleeve. I did notice that the sleeve itself seemed to be slightly shorter than other 7mm knee sleeves, offering a little less material covering the areas above and below the knee joint, which could impact the fit for taller, longer limbed lifters. While I didn’t have too many issues with the sleeve length, I could potentially see some long-limbed lifters having slippage during some movements. The Emerge knee sleeves are constructed of neoprene, which is the standard for most 5-7mm options on the market. The material itself was your standard neoprene material, that offered smooth, light to moderate compression, and did not impede with movement. These sleeves look, feel, and perform generally how I would expect a 7mm neoprene knee sleeve to. The overall durability factor of these, I suspect (based upon my limited… a few sessions) in them to be average, making them a fair investment. Emerge Fitness does have a 100% lifetime quality guarantee, stating that in the event that the sleeves doesn’t meet all of your needs, they will refund you the full purchase price, no questions asked. Emerge Fitness sells their 7mm knee sleeves in pairs (two sleeves per order) for $34.97. This price point is comparable to many of the 7mm knee sleeves on the market, however slightly less expensive than some of the more rigid and support sleeves that I have reviewed. Personally, I feel that these sleeves are a fair price for many beginner lifters and/or those looking to experiment with sleeves, as they do offer basic support and flexibility at a price that matches/slightly undercuts more expensive and rigid sleeves. 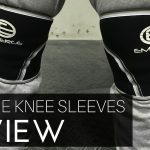 The Emerge Fitness 7mm knee sleeves generally met my expectations of what a 7mm neoprene knee sleeve should feel like, the support it should offer, and the movement it may allow. For lifters looking for a moderately priced sleeve to offer basic compression and movement support, these may be a good option. For lifters who are looking for rigid sleeves, who often find themselves squatting, pulling, cleaning, snatching, carrying, and moving heavy object, these may not be the most supportive sleeve that still allows movement; however they are decently priced when compared to some of the other alternatives. I found these sleeves to be what you pay for. Nothing too fancy, nothing overly achieving in any aspect, but rather; a good pair of knee sleeves that offer average support and flexibility at a fair price.